I have had a bolt of burlap sitting in craft room/ guest room for eight months! I bought it on a crazy Christmas sale right before leaving for Japan- it was such a tease guys. 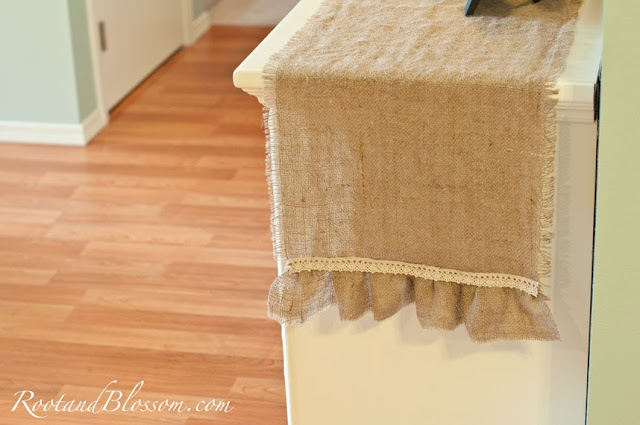 Since I was away from my precious burlap for six months I had plenty of time to storm up countless ideas in addition to the custom burlap buntings I sell in my Etsy. A Couple years back I found quite the steal on a buffet at a second hand store which we (mainly my husband) refinished. I've struggled over the years to decorate it just right (except when it displayed the desserts during Gabriel's birthday- I believe that is the best it has ever looked!) so I thought that maybe a runner would do the trick. 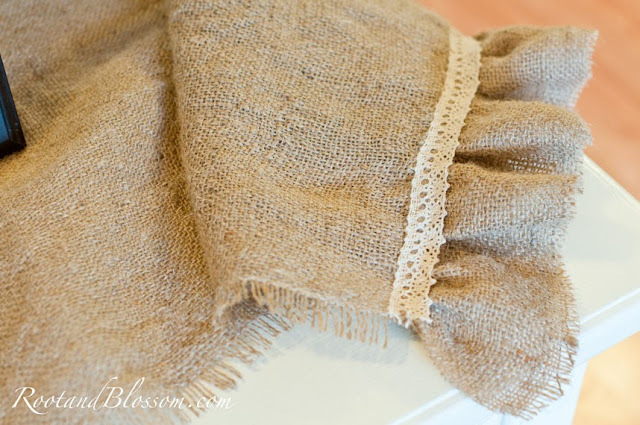 Since this was going to be on a surface I pictured needing to wash it some day so I thought it best to prewash my burlap. I have never done this before and thought that it might create kind of a mess... it did. I washed my cut of burlap like normal but with a splash of bleach to take care of the burlap smell. Once washed I laid it across a couple chairs to dry. The burlap was extremely fuzzy so I went through about half a lint roller to clean it up- this was the messy part, there was burlap fuzz EVERYWHERE! 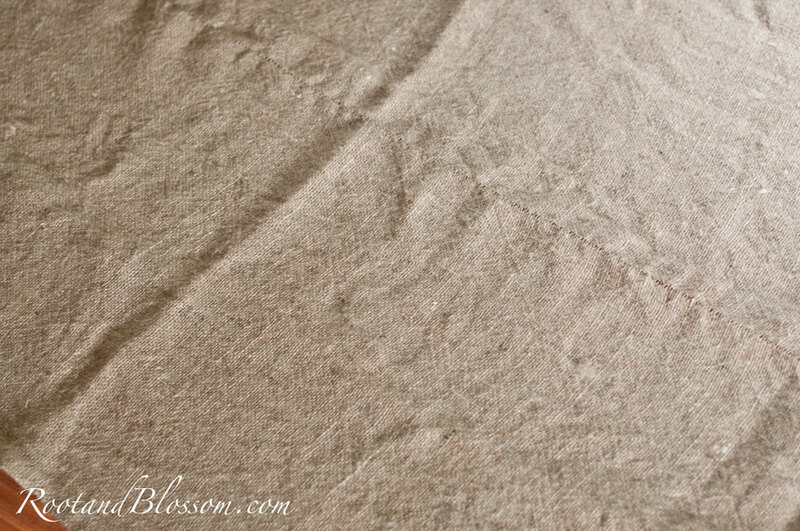 After spending a crazy amount of time with my friend the lint roller I gently ironed it out. 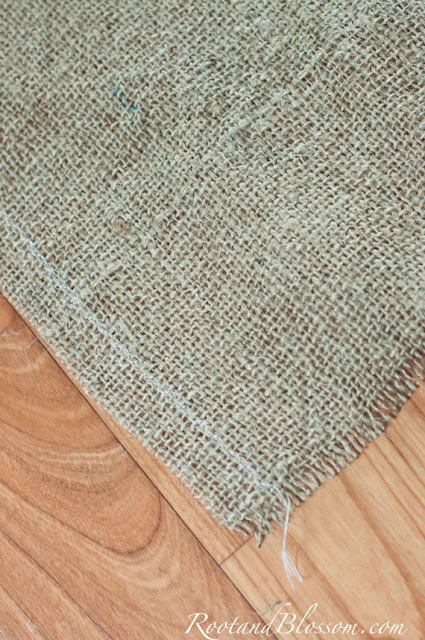 From working with burlap quite a bit I can tell you that the easiest way to cut burlap is to pull one of the cords out where you want to make the cut. By doing this you have a nice straight guide. In the above photos you can see where I removed one of the threads- this is where I cut. In order to control raveling I zig-zag stitched along the sides of my runner. See the allowance? 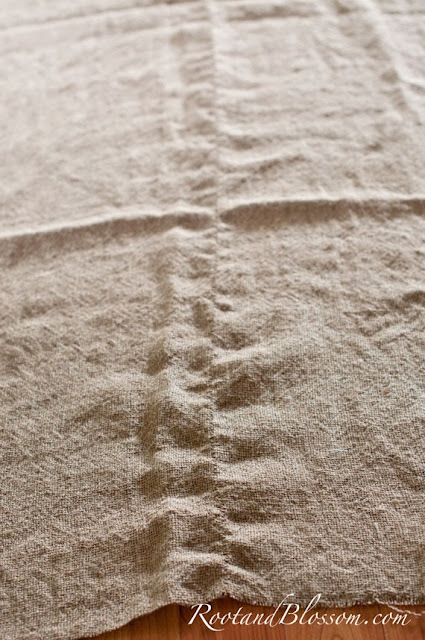 You can leave it as is or you can pull out the threads length wise to make it looked frayed like below. You can stop here OR you can add a ruffle! 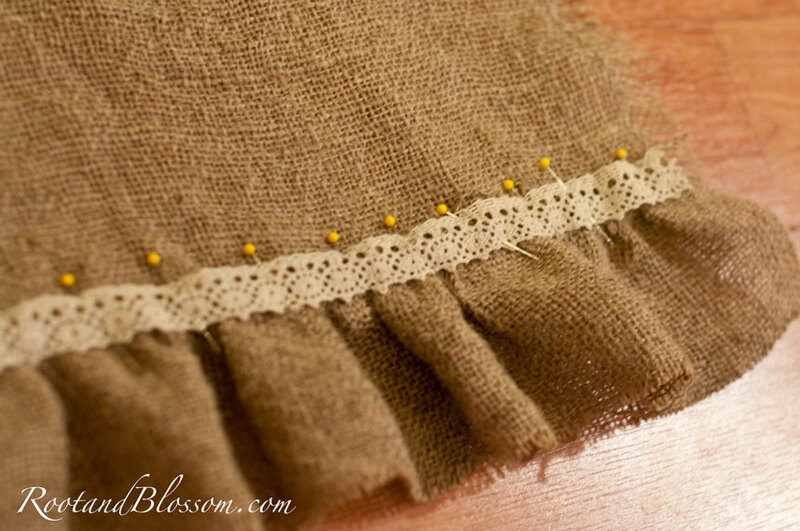 The ruffle is much less intimidating than it sounds or looks. 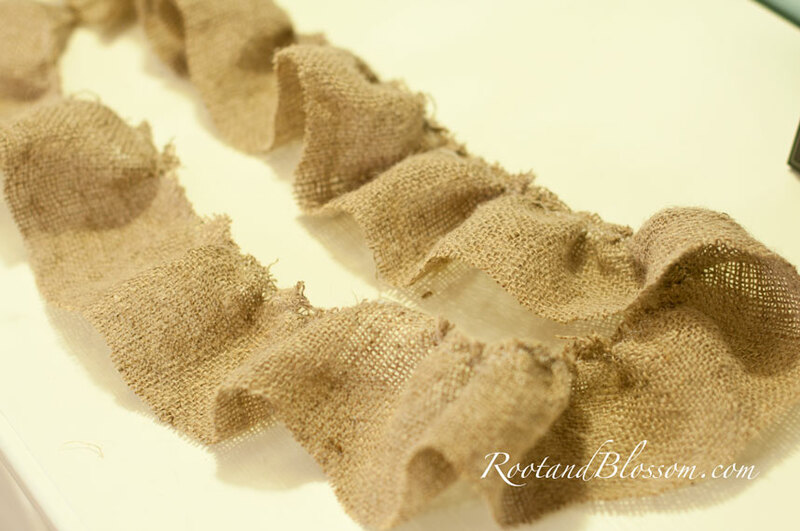 Simple cut a strip of burlap the width of ruffle you desire and than choose a thread a few from the top that you can scrunch the burlap along. 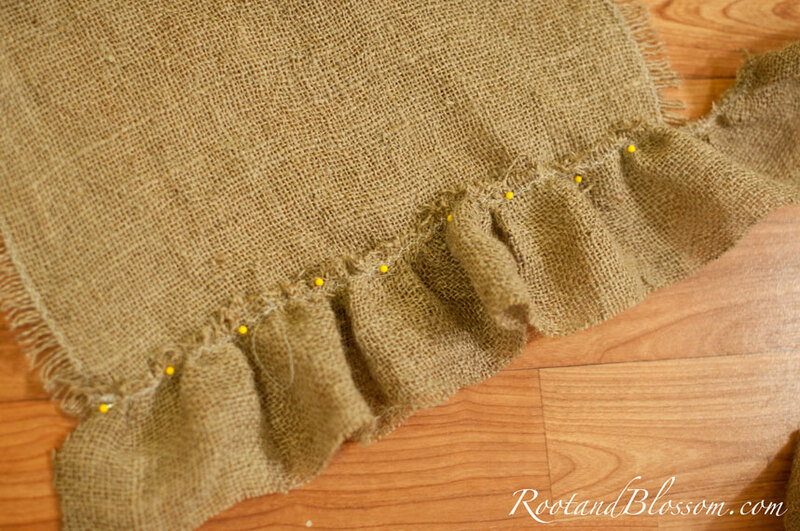 Pin ruffle to the bottom of the runner and straight stitch. To give the runner a finished look simply pin a piece of cotton lace and straight stitch at the top and bottom of the lace and YOU'RE DONE! Oh I love! I wish I knew how to sew! Have a great weekend! 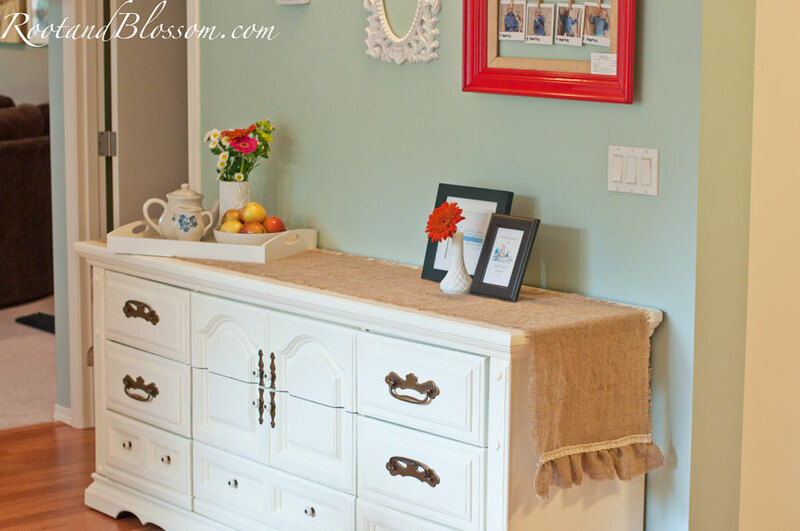 My husband bought me a sewing machine as a 'push-present.' It's been an intimidating process at times but I'm glad I've decided to dive into the world of sewing! Go for it! I need to go find that board! Looks so good! 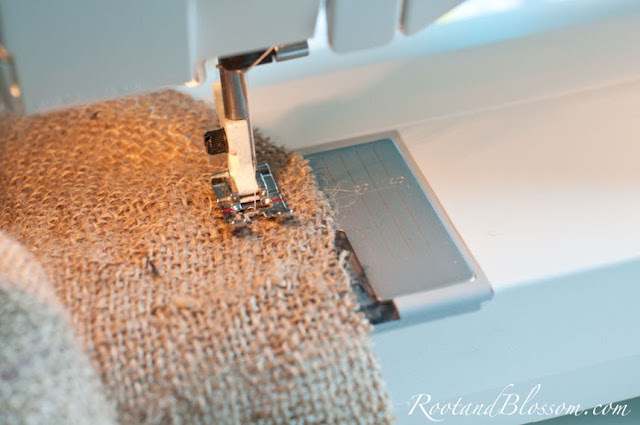 I don't sew, but seeing stuff like this makes me wish I did! I LOVE this, it looks so good. I have to admit, burlap has sort of intimidated me when it comes to sewing. But this is very inspiring! Your home looks darling too. 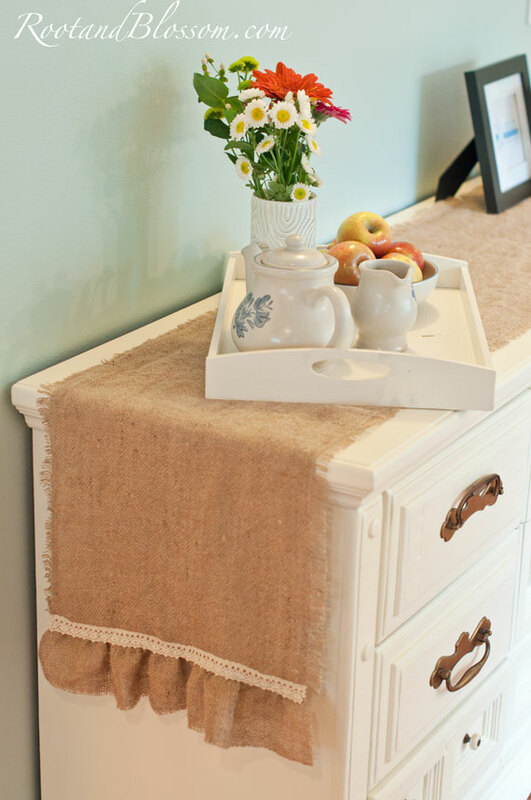 I love how burlap looks, but it does make quite the mess! This is really nice! I do not own a sewing machine. If I ever get my hands on one I would like to try this. 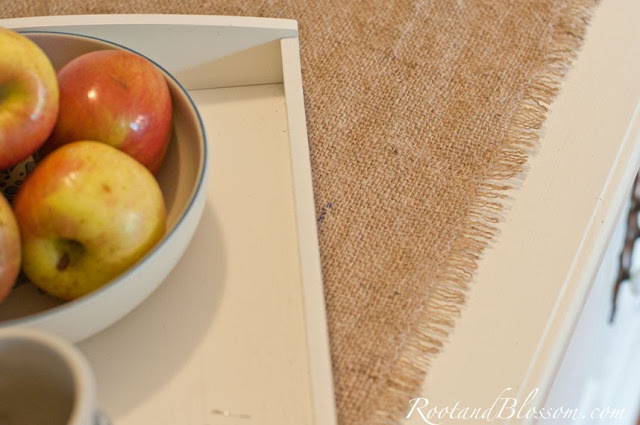 Stopping by from the "Friday Favorites Link-Up". Following you on Bloglovin, Twitter, and Facebook.